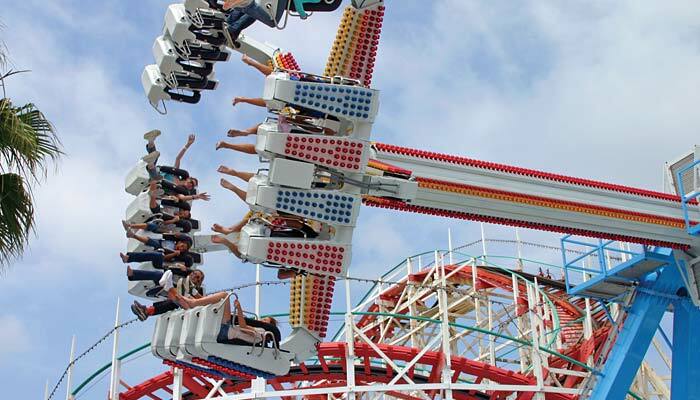 The spiraling motion is electrifying as the Revolution’s giant arm swings 20 riders 60 feet in the air. With its inward-facing inverted seating, the combination of the swinging arm and rotating passenger vehicle creates the ultimate ride sensation. The Revolution is designed by KMG.